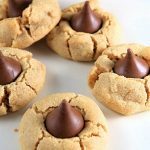 This 3 step, Delicious Peanut Butter Blossom Cookies could make a kid friendly recipe (my 7 year old made these with little help.) Roll in colored sugar before baking for a festive look or leave the way it is for the Classic version. This recipe was shared by Lily, who was kind enough to direct message me this hand written recipe! 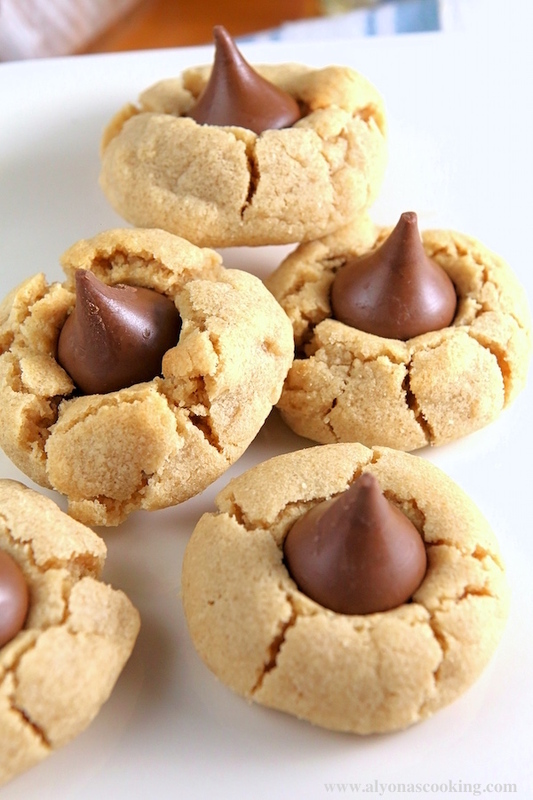 She mentioned that a coworker gave her the recipe and that, “they are so good”. I agree these are delicious! STEP 1. Mix the first 5 ingredients until fluffy. In a separate bowl stir the dry ingredients together and gradually mix into the sugar mixture. Refrigerate 1 hour. STEP 2. Preheat oven to 375°. Scoop 1″ balls onto a baking sheet (roll in colored sugar for a festive look.) Place 2 inches apart and bake for 10 minutes. STEP 3. 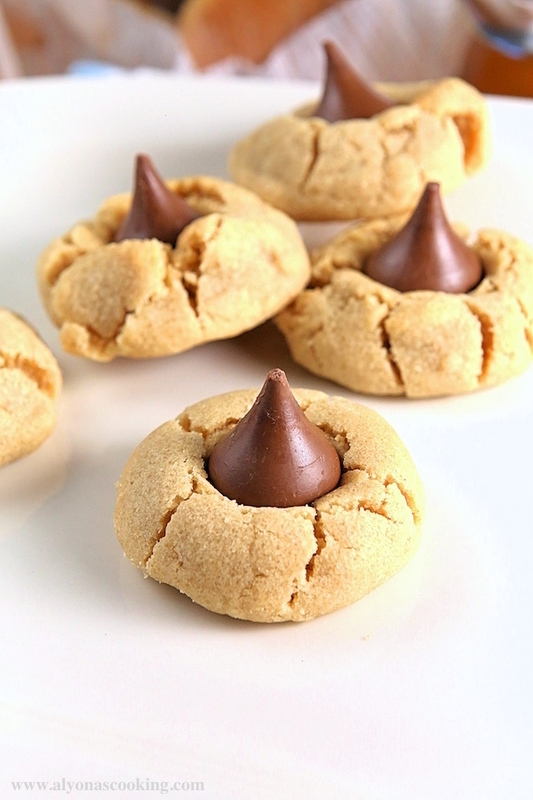 Insert a Hershey Kiss candy immediately in the center of each cookie. 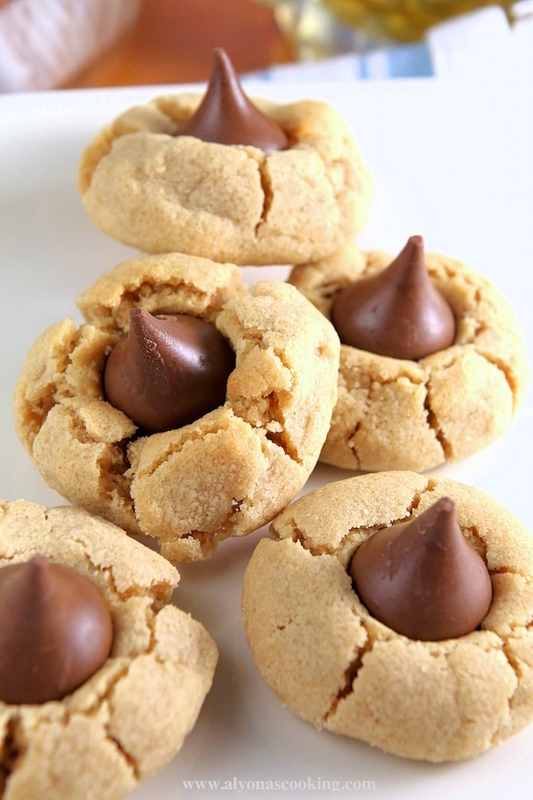 Delicious Peanut Butter Cookie Blossoms could be a great recipe for kids to make (my 7 year old made these with little help.) Roll in colored sugar before baking for a festive look or leave the way it is for the Classic version. Mix the first 5 ingredients until fluffy. In a separate bowl stir the dry ingredients together and gradually mix into the sugar mixture. Refrigerate 1 hour. Preheat oven to 375°. Scoop 1" balls onto a baking sheet (roll in colored sugar for a festive look.) Place 2 inches apart and bake for 10 minutes. 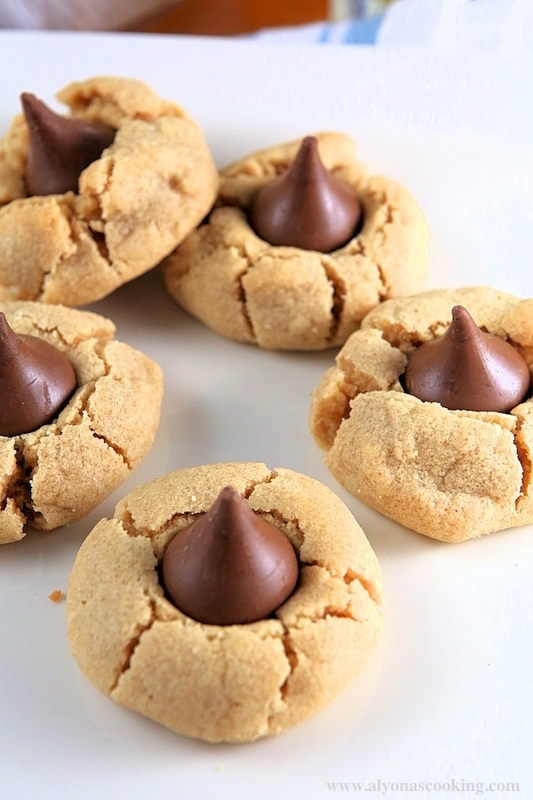 Insert a Hershey Kiss candy immediately in the center of each cookie. There look so yummy! Can shortening be substituted with anything else? Thank you Anna, softened butter or margarine can make substitutes for the shortening.